One of the most distinguished trail-blazing legends of the nineties Goa movement, Ray Castle, has salvaged his DATs from a rhyzome time capsule stash containing artefacts from a truly revolutionary epoch. 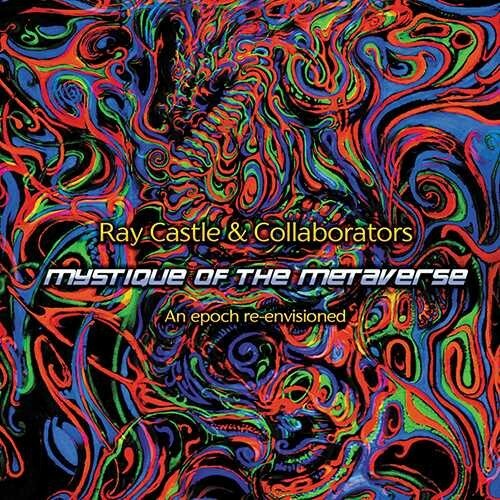 Mystique Of The Metaverse is a pedigree selection of tracks resulting from mind-melding sessions at the apogee of Goa trance’s ascension as a multi valiant style of dance music nuanced in metaphysics and cosmos and psyche. And they have been remastered by Tim Schuldt from the original DAT tapes! DJ-ing in Goa, India, from the late eighties, Ray was able to translate the ultra word “Goa-state-of-mind” into this numinous music, seminal to psychedelic-intentioned dance music for wilderness settings. Game changer, Rhthmystec, is testimony to his long-term relationship with Nick Taylor and what was happening in Byron Bay in the mid-nineties. An artistic catalyser in Japan from the late eighties, he made parties and collaboratively conjured tracks. Time Traveller Of Trance was channeled with Masayuki Kurihara above his family restaurant, to become a Goa masterpiece, now reanimated with JoyfullNative’s stellar remix. In the Roland robot kingdom, under the spell the far East, he had visions of a “neuro tribe” with Susumu Yokota and Take Tokuda, out of which came the Sonic Sufi sessions. Deep in the Australian bush, together with Nick Spacetree and Mark Turner, he engaged in rituals and field recordings in the company of disembodied spirits and extra-terrestrials. These paranormal, and out of the body, experiences are Insectoid.